Ageless Chimurenga music legend Thomas Tafirenyika Mapfumo's maiden Peace Tour show slated for Gweru on Friday night failed to take off amid a plethora of challenges that left music lovers, who had parted with their hard-earned cash, fuming. This was despite the fact that Mukanya and his band members, who included Clive "Mono" Mukundu, had travelled to the city and arrived just before sunset. They even held a radio interview in Gweru inviting fans to the gig. The main challenge that effectively saw the show being cancelled was the absence of a cable to connect power from the main supply unit at Gweru Golf Club to the stage, which had been set about 25m away. At first it looked like a simple challenge that could be easily overcome, but it ended up being the spoiler for the event. Organisers of the show could be seen making concerted efforts to solve the problem and at one time brought the cable, but failed to line it up to the stage. The venue of the event was in dead silence up to midnight with darkness hovering over the stage and the sorrounding space as there was no lighting due to the power problem. Fans were charged US10 or $40 for the surrogate bond notes currency or swipe and eco-cash. There was drama just before midnight when a heavily-built man suspected to be an illegal miner warlord in the company of his colleagues stormed the entrance of the venue wielding machetes. They ordered the cashiers to abort payments in United States dollars and in full glare of police, forcibly gained entry in a development that opened floodgates into the venue for revellers who were milling outside unable to meet the cost. "Tinozvidira jecha. Where do you think we can get the United States dollars?" shouted the man. Instead of police moving swiftly to arrest the man and his gang, they just watched helplessly leaving show organisers stunned. Just after midnight some fans were engaged in running battles with police after they started demanding their money back when it became clear that the show had failed. Some were injured in the melee. "I paid my money to receive a service on December 7, now it's December 8 and I have not received that service, so I need my money back!" one reveller could be heard shouting. Some sources told The Standard Style that they had been sabotaged by some politicians who suspected Mapfumo was going to belt out some of his songs that criticise the government. "How can you say in the whole of Gweru you can fail to get a cable for power? The organisers of the show did their part and were assured that all was going to be well. Actually some people tampered with a power point near the stage leaving us with only the alternative of seeking power from the main switch, which was over 20m away. It was clear sabotage," said the source. Mapfumo's publicity manager Blessing Vava told The Standard Style that the challenges that led to the cancellation of the show were beyond the control of the Blacks Unlimited team. "It was so unfortunate and we would like to apologise to our fans. What happenned was beyond our control. We came well-prepared to roll and we had done our home work, but the issue of the cable could just not be solved," he said. Vava refused to be drawn into commenting on possibilities of sabotage. "I would not want to play the blame game as of now. My word is that we are just very sorry to our fans and all who had come to meet Mukanya," he said. The Gweru-born manager revealed that plans to compensate fans who had paid were being negotiated. "What is being looked at is the possibility of holding a concert featuring Mukanya in Gweru very soon where those who had already paid can come and attend without paying and using the tickets for last Friday night. More details on that will be availed very soon," he said. Show organisers Entertainment Republic released a statement yesterday morning apologising to the fans. "On behalf of Entertainment Republic, we would like to express our utmost apology to all the Chimurenga fans who attended our leg of the Gweru Peace Tour," read the statement posted on the organisers' Facebook page. "Dr Thomas Mapfumo and The Blacks Unlimited could not perform due to technical difficulties that were unforseen to us. 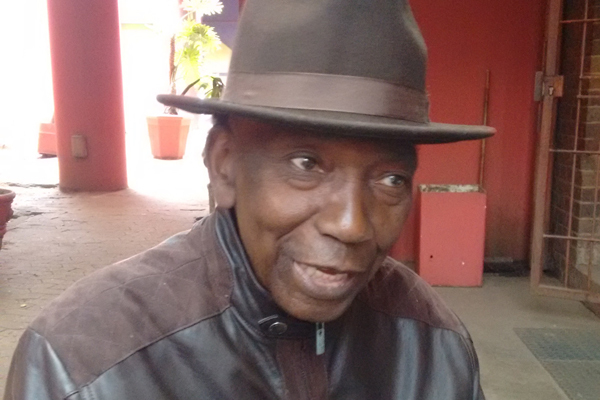 Dr Mapfumo was ready to perform and he cherishes the time he got to meet and greet his fans. "Please be advised all the other shows will continue as planned. A new date will be announced for the Gweru show. Any inconvenience caused is sincerely regretted." Mukanya was expected to perform in Bulawayo last night.